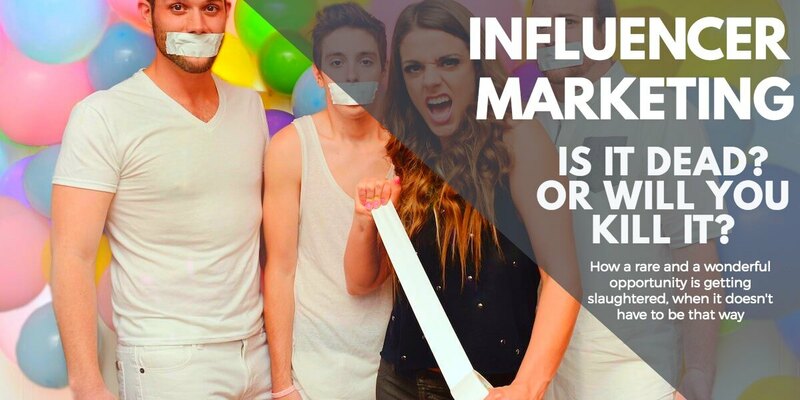 Influencer Marketing: Is It Dead Or Will You Kill it? The only reason Influencer Marketing exists is that so-called “influencers” have a following and brands need exposure. It’s simple economics, but off late, it’s gone bad. It’s made up, superfluous, and often misleading. It’s transactional, and there’s absolutely no love for customers. I could dare say that given by how influencer marketing is done usually. Don’t get me wrong. I am a marketer, and if you do marketing ethically and strategically, it ticks off the right boxes for me. 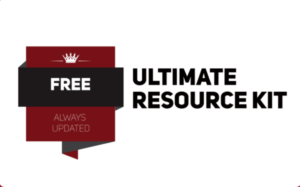 Understand who influencers are and how you need to find them. Learn how to keep up with trends by following influencers. But Influencer marketing is just a fancy name for the very old celebrity endorsements and ads we see on TV. In India,for instance, brands go blind and any popular brands actually just pick up the most popular Bollywood stars to “influence” consumers’ purchase decisions. It’s no Joke: a country of 1.2 billion+ people hooked on to the television swearing by every word their favorite stars say. In India, unlike in the United States, the “web” version of super influencers isn’t there yet. For the rest of the world (depending on where you are), things are changing. That aside, not every influencer is going to work for your brand. 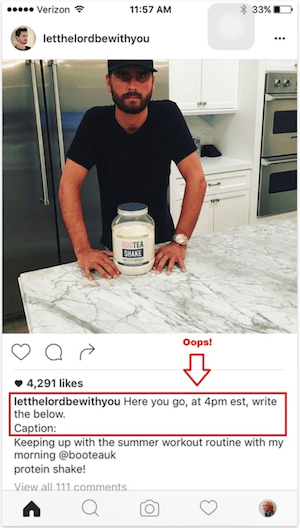 As Patricio Robles of Econsultancy points out, Scott Disick can reach a large number of people with his 16.4 million Instagram followers. However, Bootea — a health and wellness brand — picked the wrong person for their products when they reached out to Scott who is well-known for his hard-partying and substance abuse. Bootea just saw the number of followers. Where did “relevance and appropriateness” go? 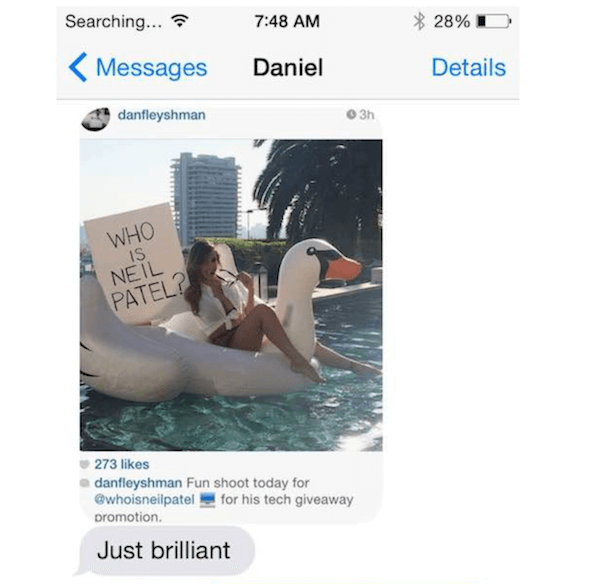 Then, Neil Patel gets a UFC ring girl to promote his products and services that usually relate to marketing services? Blogs? What the hell is wrong with Neil? Doesn’t he do well for himself with all the blogging and traffic generation Jedi-like mastery he’s already achieved? What’s a guy with a couple of popular blogs and multi-million dollar companies doing with skimpily-clad girls? What does he have to show after spending $57,000 on this farce? If you think the answer is more followers on Instagram, why does the account appear to appear to have grown with an “Instagram” audience that has no interest in KissMetrics? Is it the Death of Influencer Marketing Yet? The interview sparked widespread response, including the creation of “Who Pays Influencers”, a crowd-sourced site that defends the work of influencers and supports transparency in an evolving industry. Influencer marketing isn’t dead, not even by a long pole. But I only hope that it doesn’t go the way of the dodo only because brands, business owners, bloggers, and even guest posters end up making the wrong decisions by choosing the wrong influencers or expecting the right results, the wrong way. For one, it’s mind-blowingly expensive to do influencer marketing. At the end of all that spending, brands usually don’t even have much to measure the impact of the campaign (except counting followers) and seeing how “swollen” their respective social media accounts have become. Really, banner ads could prove to be a better investment than Influencer marketing. Celebrities don’t necessarily make for good campaigns. I am yet to see a single celebrity featured television ad, sponsored blog post, or anything actually give a positive ($$$) return on the ad spend. In the world of dating, there’s a concept of “Wingman” — a beta male (or maybe an alpha male in training) usually hangs out with an Alpha while the super confident Alpha goes about an entire evening hitting on women and trying to pick them up. Influencer marketing is just like that: Brands, bloggers, digital marketers, and everyone with any need for traffic or conversions invariably treat every influencer as “alpha” and thereby give themselves the title of “beta” and for the Influencers to do their magic. Meanwhile, on that evening when the Alpha pick-up artist was busy lynching women, the beta male could do nothing about it. The beta goes home alone, and we all know how much fun the Alpha had. For Brands, the outcome is the same. Unless brands tag along with the right kind of influencers (assuming they really want to do this), they have nothing much to show for (in terms of real profits) after all the spending. With any Influencer marketing fiasco, we’ll only learn hopefully. All these years of mistakes with Television didn’t teach brands anything anyway. Evangelism or consumer advocacy works way better than influencer marketing any day. When creative Assembly wanted to create promos for its new game, ExtraCredits loved the idea so much that it went ahead and created an awesome video with a mention thrown in about Creative Assembly, even if there was no need for it. When a well-known blogger, an Instagram user, or someone with a neat following on social media uses a product and writes about it all on their own, this is the work of a micro-influencer, and it’s actually more influential than a full-blown celebrity talking or writing about it. YuYu Chen wrote on the Rise of Micro Influencers. According to Gnack, a social ad platform, everyday social media users with less than 10,000 followers are defined as micro-influencers. YuYu alludes to Chico Tirado, the company’s CRO, claims that more than 55% of their agency partners already incorporated marketing strategies taking these micro-influencers into account. With these new clan of influencers, Chico reports 25% more engagement already. More than 84% consumers depend on opinions from other people they know. A Markerly Survey reveals that an influencer with just about 10,000 to 100,000 people is more effective than someone with a million or more followers. Customers trust “non-celebrities” more than they’d ever trust a rich, spoilt brat on Instagram (or a publicized star). How to Do Influencer Marketing Right? First, stop with the “influencer marketing” mindset and being the “beta”. As a brand, it’s critical that you “amass” the same kind of following that a kid in jeans on Instagram managed. How is it that brands forget that they have more resources and more influence than that kid? Find the right kind of influencers by engaging in social listening, social monitoring and identifying influencers who are “passionate” about the topics, events, products, and services related to the brand. Co-educate consumers along with the influencers. Build a meaningful relationship with the influencers and “their” followers. When all those things go together, Influencer marketing has a chance to deliver. Get it wrong and you’ll end up with all the little red herrings that gave you nothing. How are you doing Influence marketing? Too many times people prioritize “followers” over real life dollars. 100 followers who buy something are worth more than 100,000 that do nothing. Good to see you here 🙂 Oh, you should ask how many people come up to me and ask “I give $10, will you get me 1000 fans on Facebook?”. I never understood how and why they’d ever justify such a buy. looking for right influencer is really necessary to get the maximum results from the campaign. It is always good to know that one valuable customer is much better than thousands of followers. You are right Gaurav. I used to believe (and still do) that it’s not even about brands and influencers anymore. The best influencers for a brand come about when those influencers want to be “advocates” and really believe in the brand itself and what it wants to do for its customers. Sadly, most brands just look to “buy” their way into the following that Influencers worked hard too build.